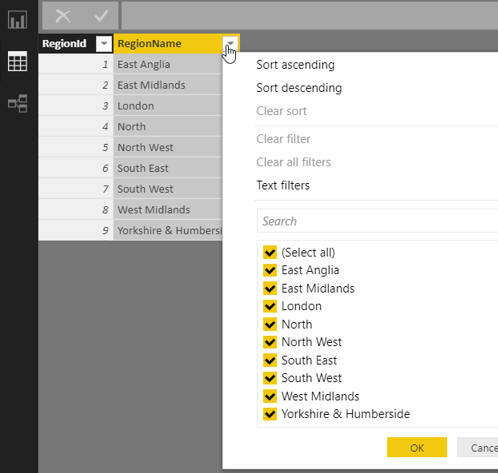 There are hardly any changes in this update - the only significant one is that you now sort and filter data within Power BI Desktop itself, rather than having to go into Query Editor. You no longer have to go into Query Editor to sort or filter tables of data. And I really can't think of anything else to add to this!